Very unique luxury villa project for a contemporary villa in an area close to Moraira and the beach l'Ampolla. The house will be built on a nice and large plot and 8 671m2, the part where the house will be located is flat, the rest of the plot has a gentle slope, open views and facing south. We have two available villa options, a 3 bedroom house - price 950.000€ plus VAT, or 2 bedroom house - price 750.000€ Plus VAT. Please enquire for additional information. Both options will have high-end finishes; we have the quality memory available. We can show you villas completed constructions with the same finishes and qualities. The plot is very well located a short distance from the beach l'Ampolla and Moraira with all kinds of shops and its small fishing port and marina, the 9 holes Golf Club Ifach with social club and restaurant is about 3km. 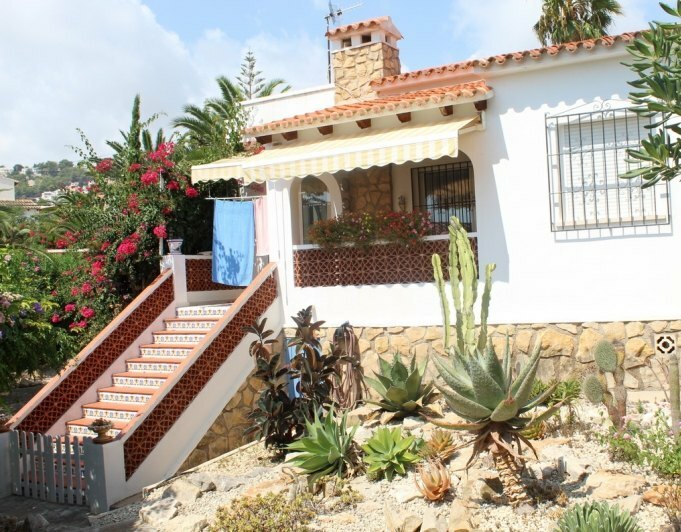 It is a part of Moraira with nice villas in the neighborhood, very residential and sought where many residents are foreigners and have chosen this beautiful part of Moraira, for its great weather and good quality of Spanish life.